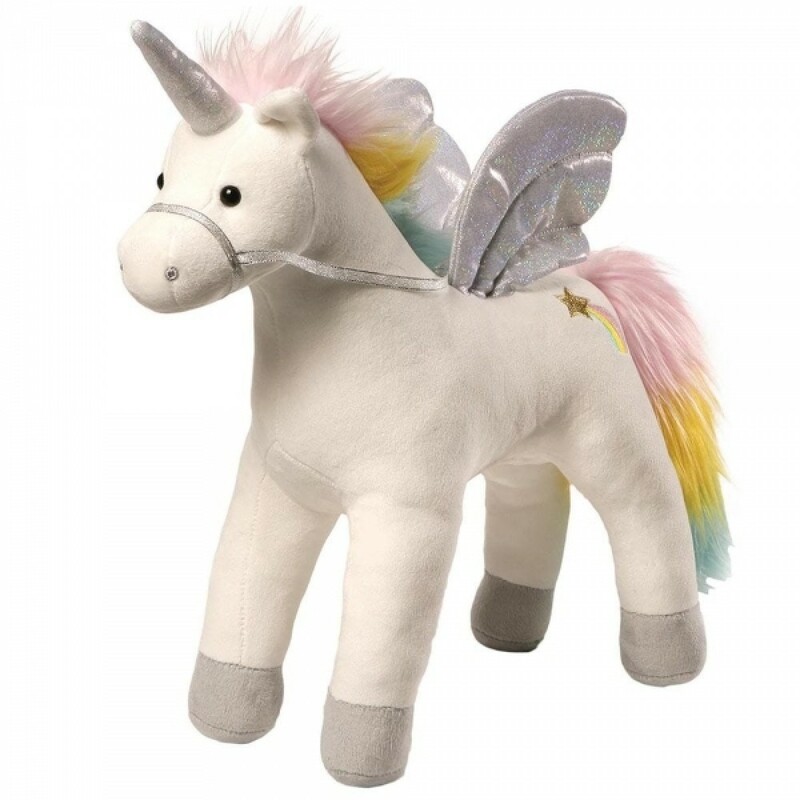 Certain to please young fantasy believers, this animated unicorn is sure to become your little one's new best friend. Pat her back to make the wings light up and for a magical sound! Beautifully made by our friends at Gund, it's a lovely soft toy, made with real substance and sophistication - the sort of gift that a child will remember for ever. The stunning attention to detail - including its genuinely gorgeous rainbow coloured mane and cuddly soft fur - makes it a captivating toy that your little one is guaranteed to fall in love with. Guaranteed to become a lifetime favourite, bringing smiles to your little one's face for many years to come!